watercolor Archives - Pebbles, Inc. 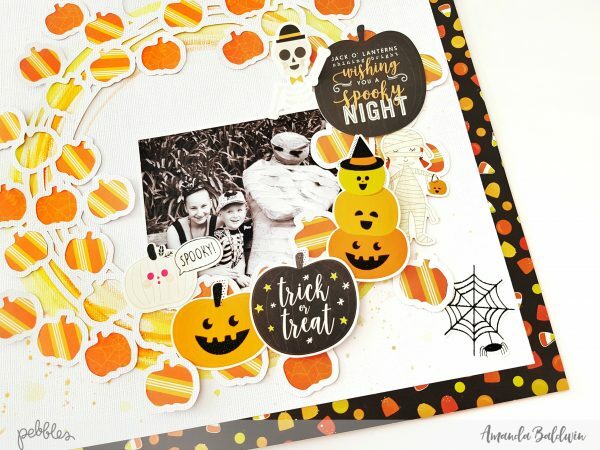 Trick Or Treat Pumpkins Layout with Amanda! Welcome back for more Spooky Boo inspiration! 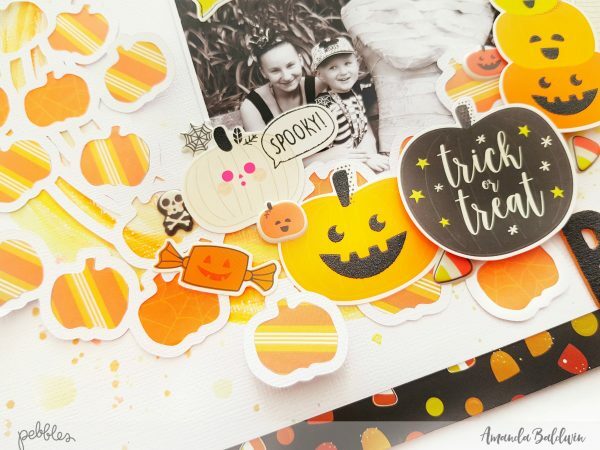 Amanda here, & today I am sharing my take on this week’s pumpkins theme! It’s super cute & fun! Eeek! Isn’t this the cutest for Halloween?! Totally Spook-tacular! & just check out all those amazing pumpkins! 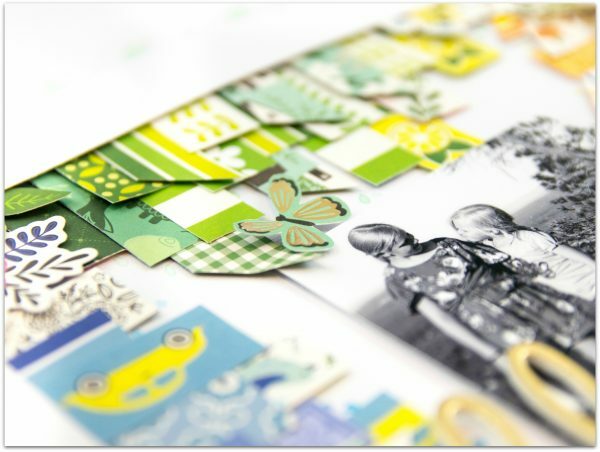 And here’s how easy it is to recreate this page…. 1. 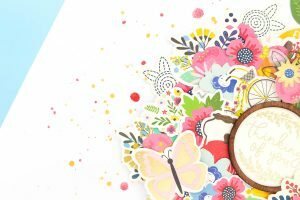 Mount an 11″ x 11″ sheet of white cardstock onto pattern paper, Sweet Tooth. 2. 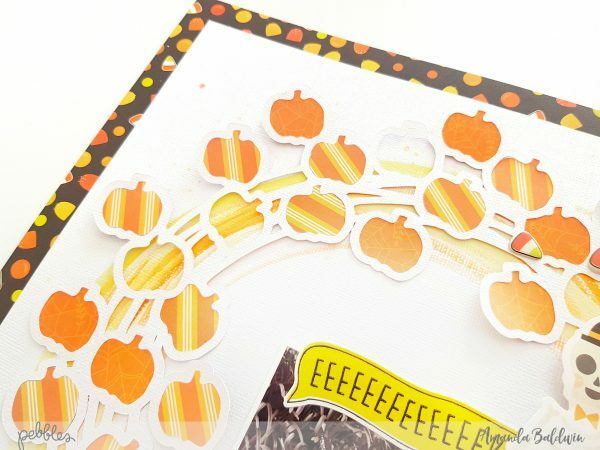 Use your digital cutting machine to cut out the Paige Evans’ Pumpkin Wreath cut file in white cardstock. 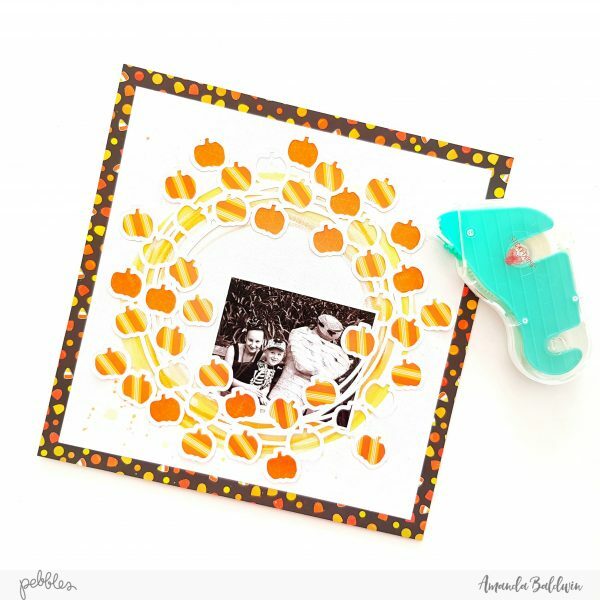 Back the pumpkins with pattern papers Hocus Pocus, & the reverse side of Sweet Tooth. Leave a few of the cut pumpkins ‘open’ and without any backing, too. 3. 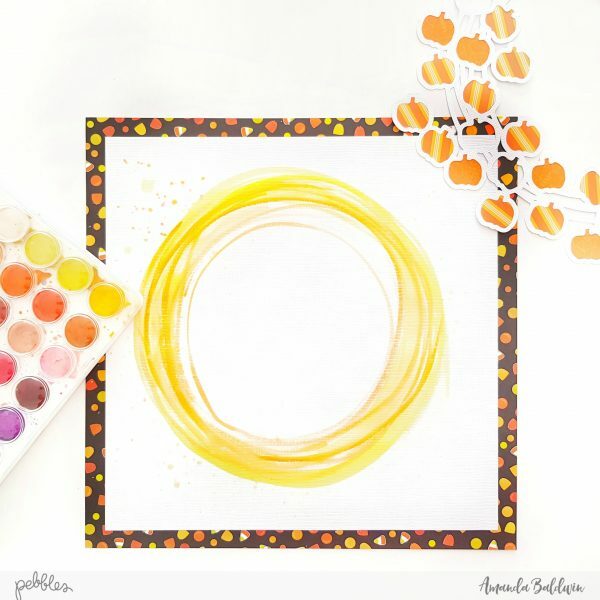 Use watercolor paints to outline a few orange & yellow circles in the center of the background, as shown above. Add a few tiny splatters for interest. 4. 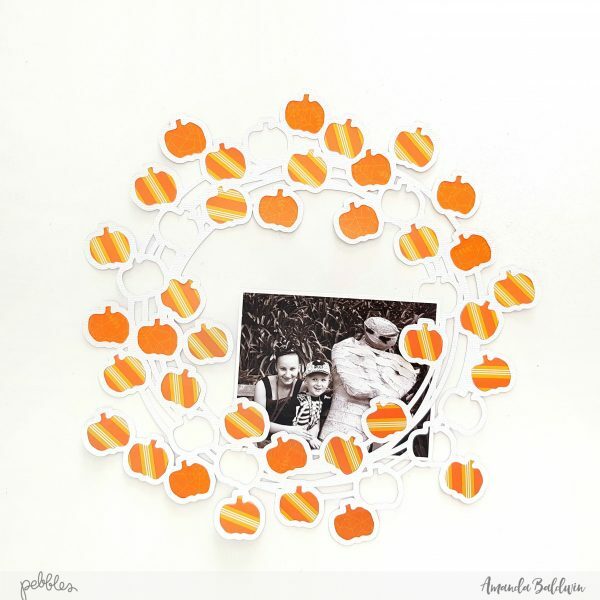 While the paint dries, attach your spooky Halloween photograph to the Pumpkin Wreath cut file. 5. Position wreath onto the background paper and painted circles, then glue into place. 6. 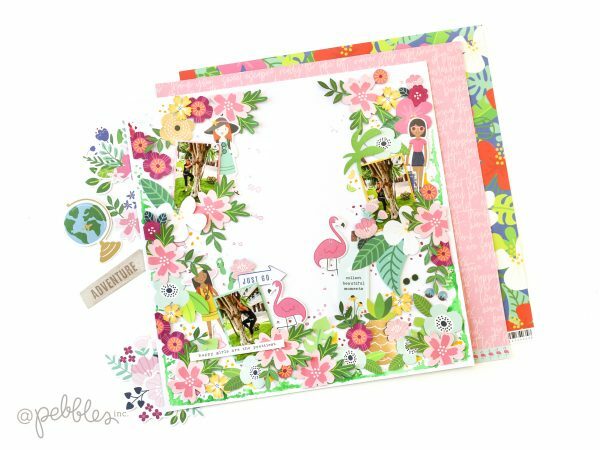 Embellish the photo cluster (& bottom right quadrant of the layout) with Cardstock Shapes die cuts, and 6 x 12 Accent Stickers. You’ll spy lots of pumpkins here too! 7. 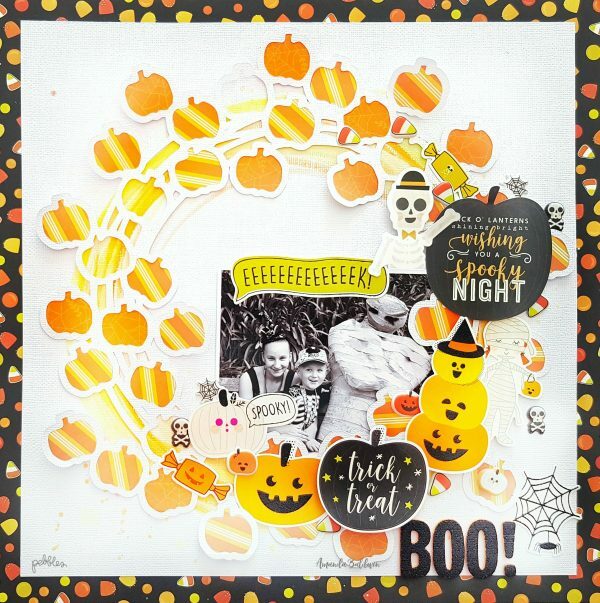 Continue to embellish this quadrant with more stickers, including the fabulous Spooky Boo Puffy Stickers. 8. 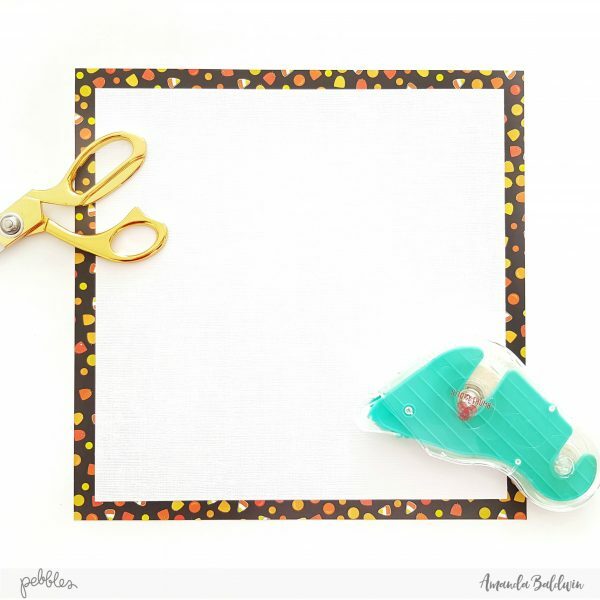 Use the Maggie Thickers to add a title – BOO! & add a few more Puffy Stickers for good measure! A really BOO-tiful Halloween memory documented, and featuring all.the.pumpkin.things!!! Here’s a few close ups for you…. 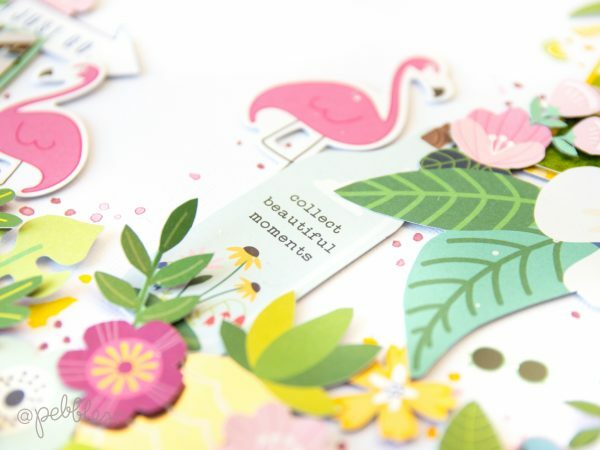 I just adore the the super cute mummy and skeleton Accent Stickers here – adorable! 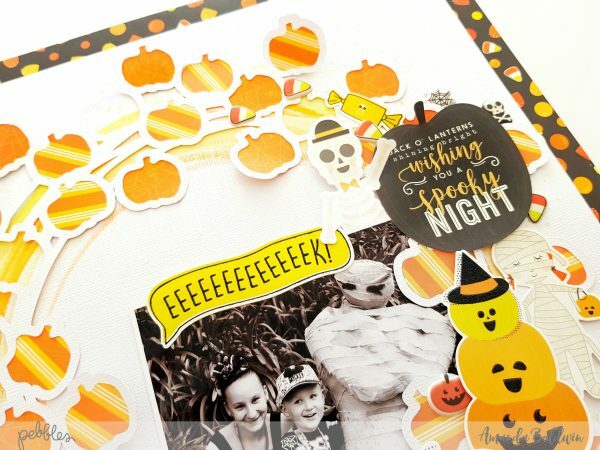 I hope I have inspired you to document your Halloween memories with our fabulous Spooky Boo! collection. 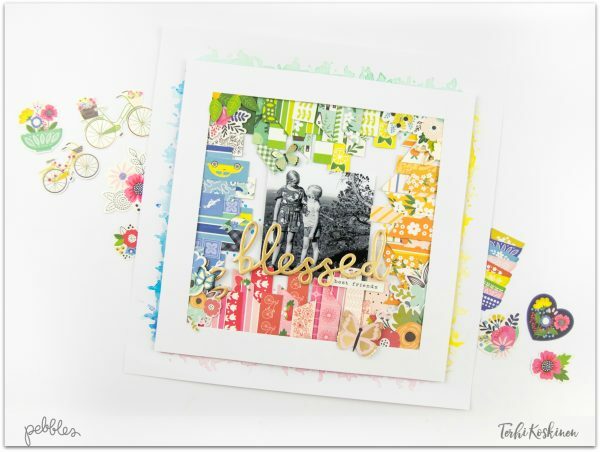 Inspiration with a globe from guest blogger Zinia! Hello everyone! Zinia here! 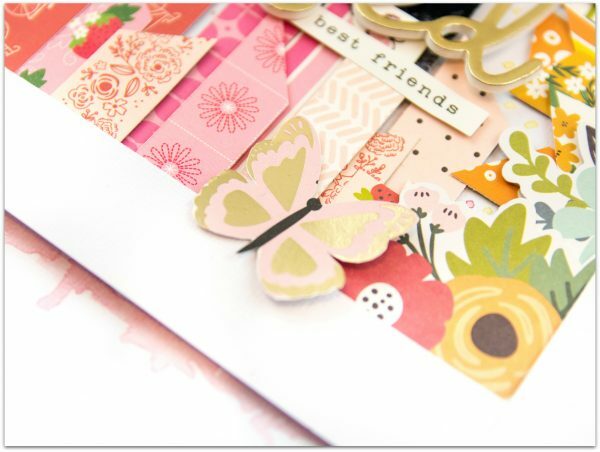 I’m really thrilled to be a guest designer on the Pebbles blog today. 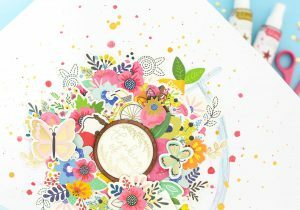 I’m madly in love with the My Bright Life collection by Jen Hadfield and you can probably tell by the amount of product I added on my page. I intended to make a simple page with a few elements but everything was so pretty that I couldn’t stop adding more and more! 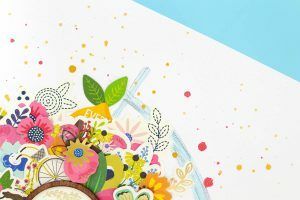 The design of my page is inspired by one of the images in the collection, a globe with flowers around it. 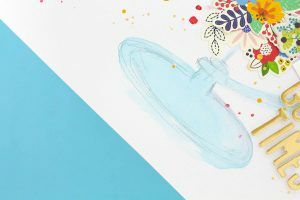 I couldn’t resist making this the spotlight of my page but since the ephemera piece that had this globe design was pretty small, I created my own version to cover the whole page. I started by roughly drawing a circle with a pencil and then I doodled the globe structure around it. 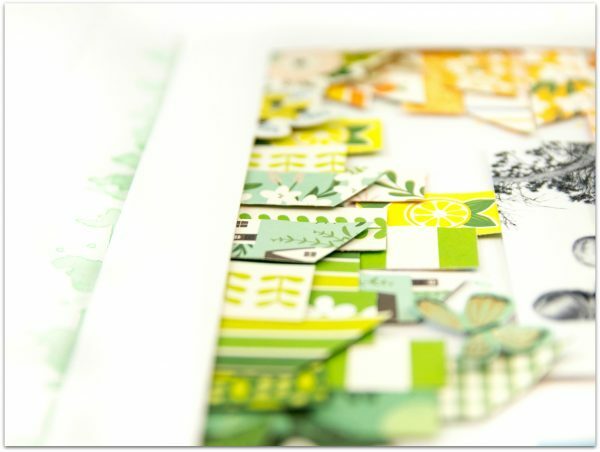 I pulled out all the ephemera pieces with flowers and I also fussy cut a few images from various pattern papers. 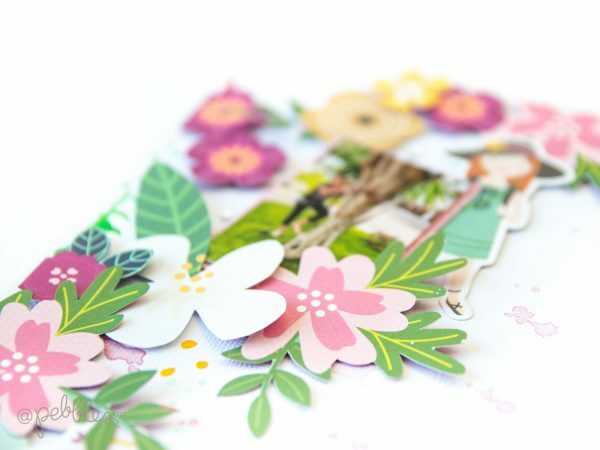 In the center of my globe, I added one of the beautiful layered stickers that comes in the collection. I started building my floral arrangement around it after that. 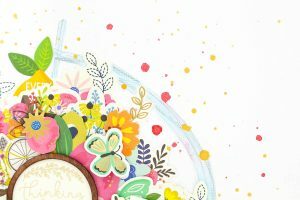 A bunch of layers later…the floral part of my globe was ready. 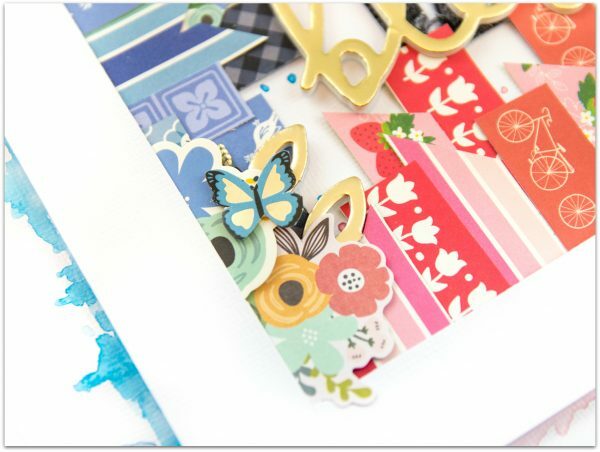 To make the design even more fun and whimsical, I decided to add some mixed media. I colored the globe skeleton with a mermaid marker by Jane Davenport. 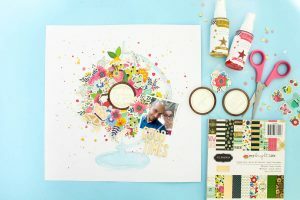 I then used a couple of Heidi Swapp Color Shine sprays to add colorful splatters all around. I found a little corner for my photo at the side of the globe and I also added the title right below it using the gorgeous gold thickers from this collection. That’s pretty much it! It’s a really fun page to make and I’m crazy in love with the way it turned out. 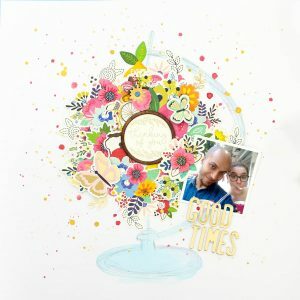 I really hope you enjoyed this layout and are inspired to create your own version of this floral globe. You won’t regret it, especially when using this beautiful collection.